There it waited, doors wide open, the sleek El Camino revving its engine blasting old school rock through the radio. 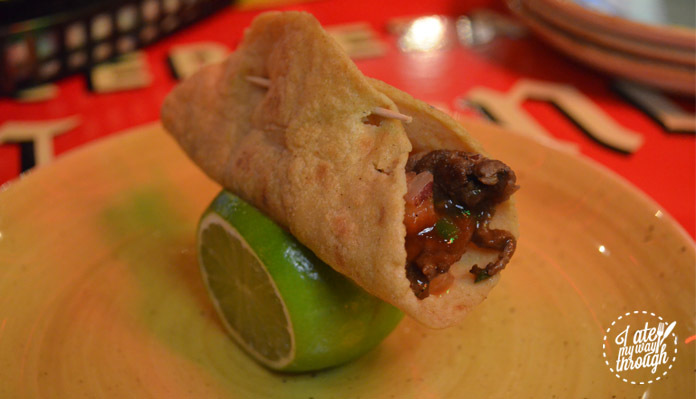 Its worn out charm is inviting me to take a ride out into the world of Tex-Mex. 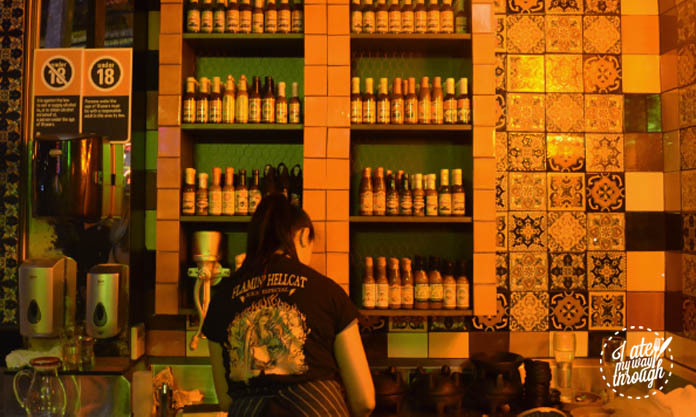 The El Camino Cantina makes no effort to stay hidden, but rather captures your curiosity through it’s bright neon lights and lively nature that calls for attention from the windows of the Argyle’s brick walls. On this opening night, there were plenty of seats all around but it was quickly getting hard to find one to claim. The most exciting thing about the restaurant itself was the fact that it’s completely decked out with everything that pops into your head when you hear Texas and Mexico. 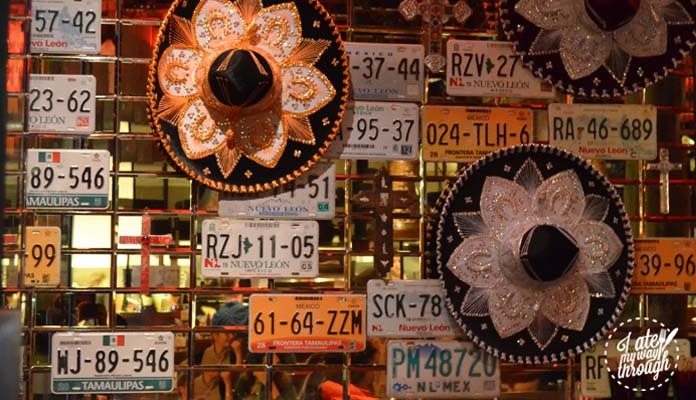 Think sombreros, cactuses, cow patterned cushions, diner booths, and tequila bottles. 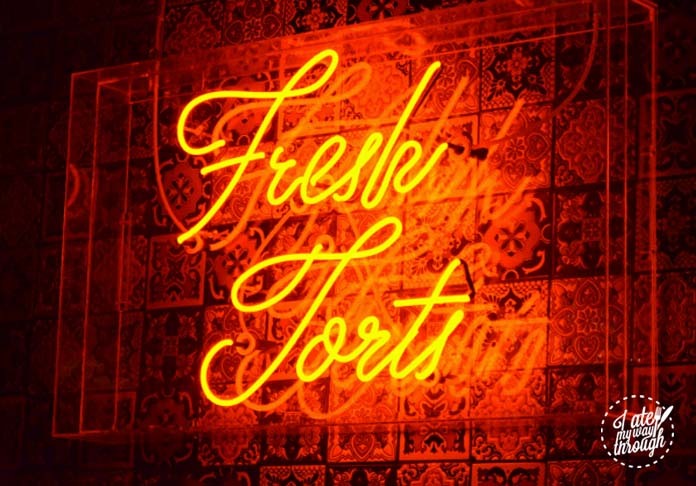 The walls are even adored with buffalo skulls, neon signs, and rock & roll memorabilia. You could fool yourself into thinking there was a real desert outside and wonder where they’re hiding the electric bull feature. Getting into the vibe, I strapped my boots firmly and tightened my imaginary cowboy hat and dived into the feast. The food was all meaty, cheesy and spicy – everything you’ve come to expect but with this whole other charm hidden with it. To begin with, their menu was an actual vinyl disc and their cocktails were named after some great rock & roll classics. Did someone say ‘throwback’!? When I finally calmed down the excited litter rocker within me, I began the feast with Jalapeño Poppers ($14). There were trays and trays of jalapeño poppers all hot, cheesy and kicking from that delicious pepper inside. If I had known how addictive these were I would have asked for the whole tray to enjoy alone. 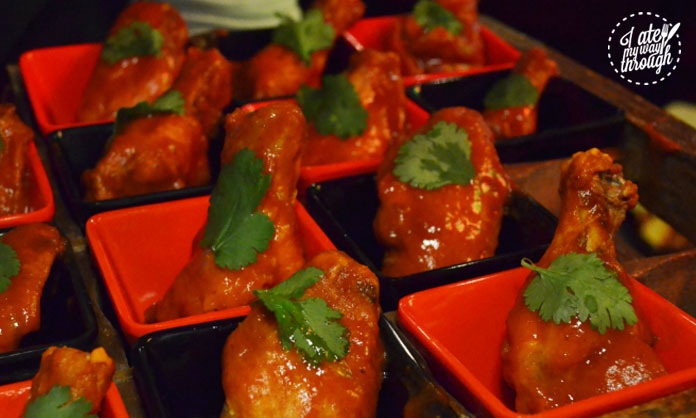 This kick of spiciness didn’t end there as next came the challenge of Ghost Pepper Chicken Wings ($19). Now, these caught me off guard. My lack of experience with ghost pepper didn’t prepare me for that fiery punch it delivered to my taste buds. It was covered with thick red sauce and inside was delicious juicy meat. 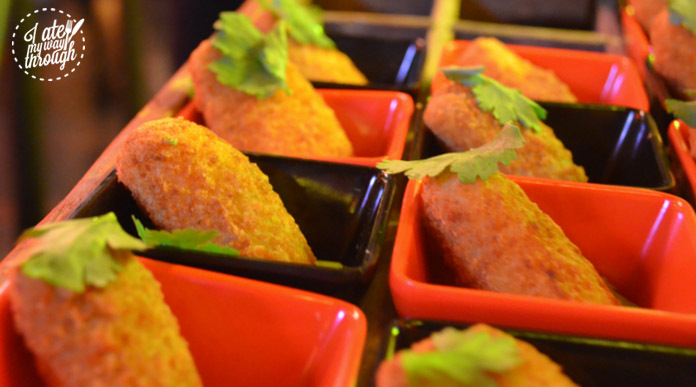 Spicy but addictive. You’ll may need all your fingers to eat this one. It definitely is a finger-licking treat for the big kids. After all that, I needed something wash it down, so I opted for a Frozen Margarita ($15) presented in a larger-than-life glass. It was the perfect beverage after the wings and deep fried poppers, cutting through the flavours and refreshing the palate. 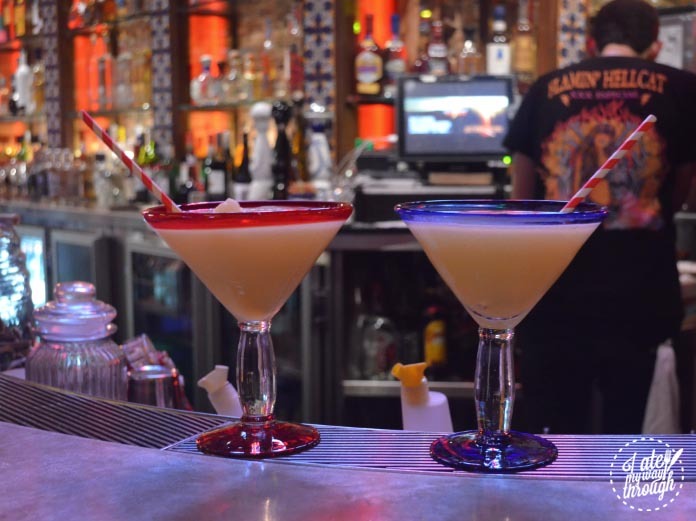 The El Camino Cantina offers three flavours of margaritas. Other than the classic, you also have the choice of mango or strawberry if you’re feeling a little more fancy. 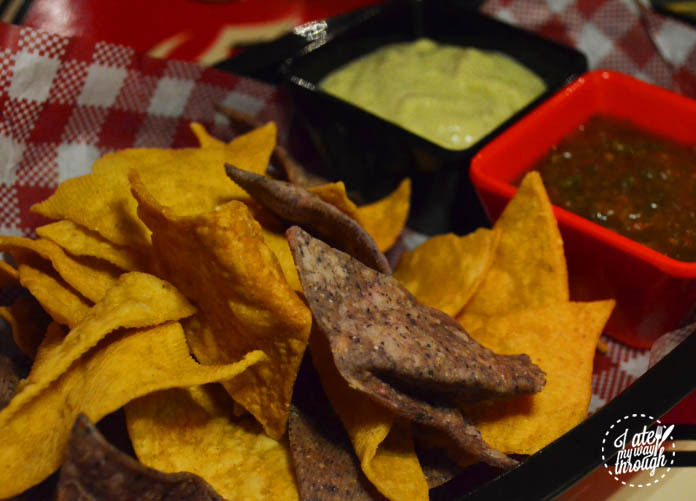 Throughout the night, I thoroughly enjoyed their baskets of tortilla chips and dipping them into all the dips I could get my hands on. There was such an abundance of these chips that even when you thought you were done, there was always more. Just like that never ending bag of chips you’ve always wished for. One chip here guarantees you into a non-stop motion of chip, dip, crunch, chip, dip, crunch. The winner here definitely was the cheese dip. Eating all these bites really got the appetite going, which was great timing as more food started coming about. 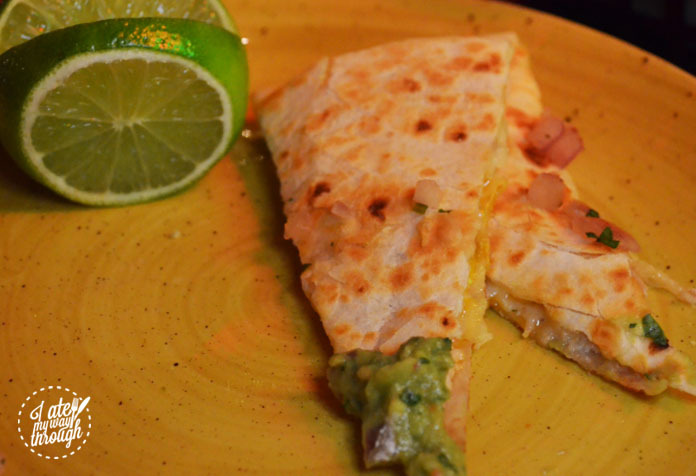 The Baracoa Pork Quesadilla ($17) was filled with smoked BBQ pork, pickled green chilli, Chihuahua cheese and grilled pineapple salsa. That combination really hit the spot. 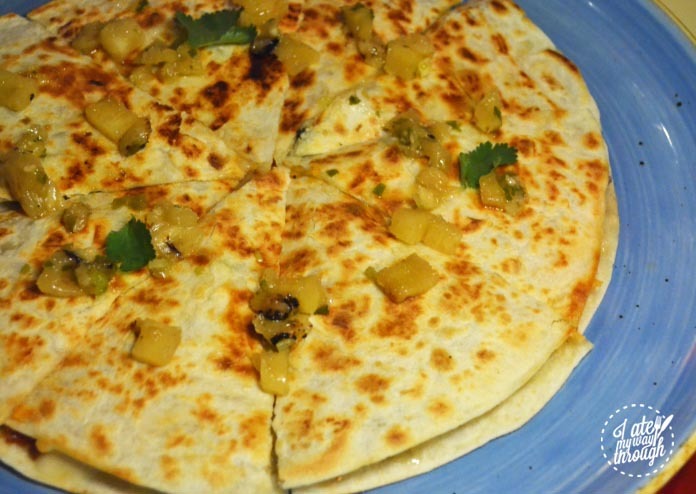 The heaviness of the smoked pork and the cheese was cut nicely by the tartness of the pineapple salsa. 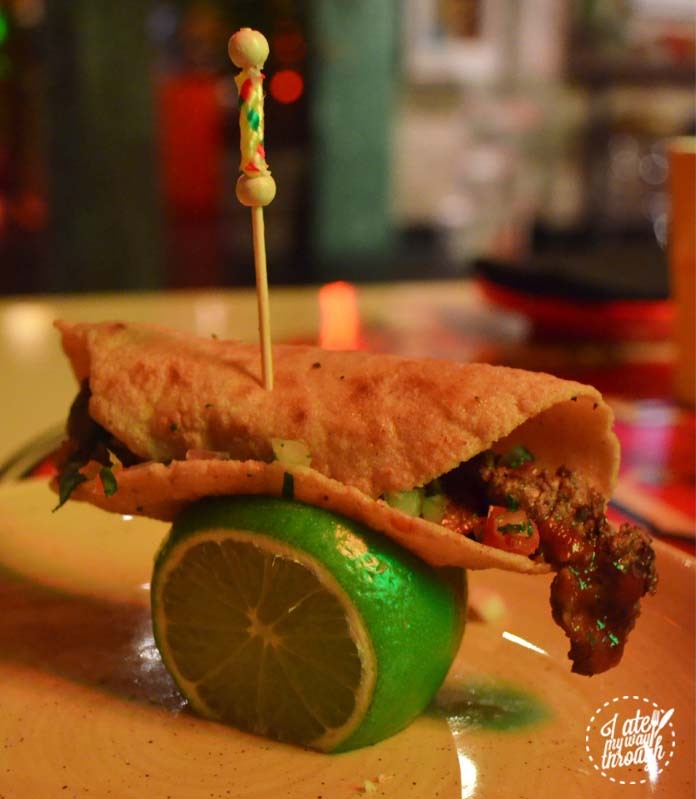 Their tacos were not only tasty but also entertaining, arriving on a piece of carved lime. The Steak Taco ($5) was filled with grilled skirt steak, pico de gallo (a fresh salsa) and smoky BBQ guajillo salsa (sweet-smokey chilli sauce). The sauce laced the steak with a slight sweetness and easily went down a treat. I also had Carnitas Taco ($5), a taco filled with tender pork shoulder and salsa. Many tacos later, I’m thinking of penciling their $2 Taco Tuesdays on my calendar. 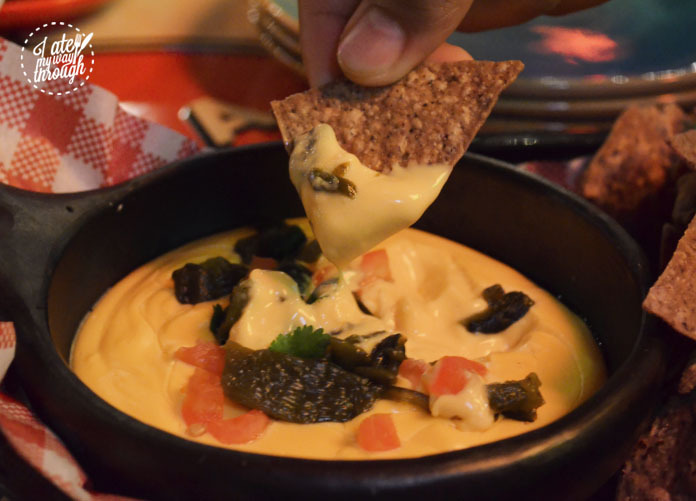 When I think of Tex-Mex, nachos is the one thing that always comes to mind. To me, I came knowing I couldn’t leave without having some. The Nacho Mama ($18) really was a mother of a nacho plate and like many of the dishes on the menu it probably would not hurt to share. 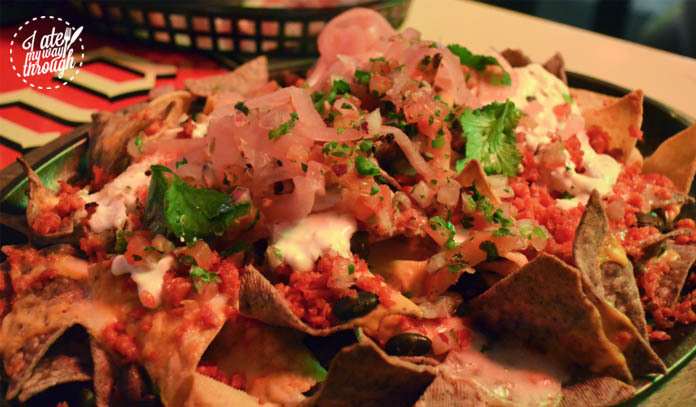 These nachos came complete with oozy jack cheese, black beans, salsa, sour cream, pickled red onions and even more cheese! In the end, I was glad I had a light lunch. The El Camino Cantina really brought enough for me and my second stomach. 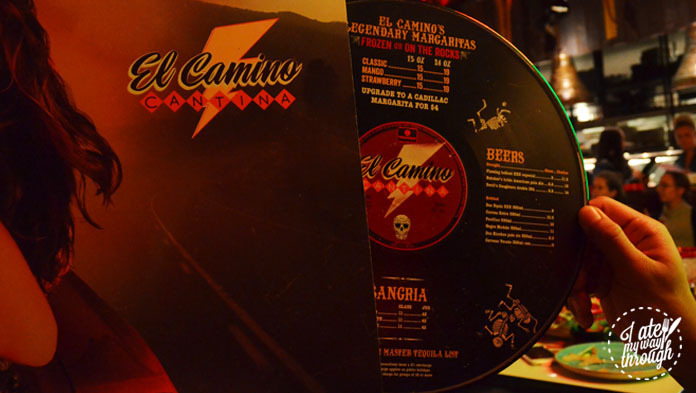 With all it’s fun decor and rocking music, the El Camino Cantina delivers a piece of another world onto our doorstep. 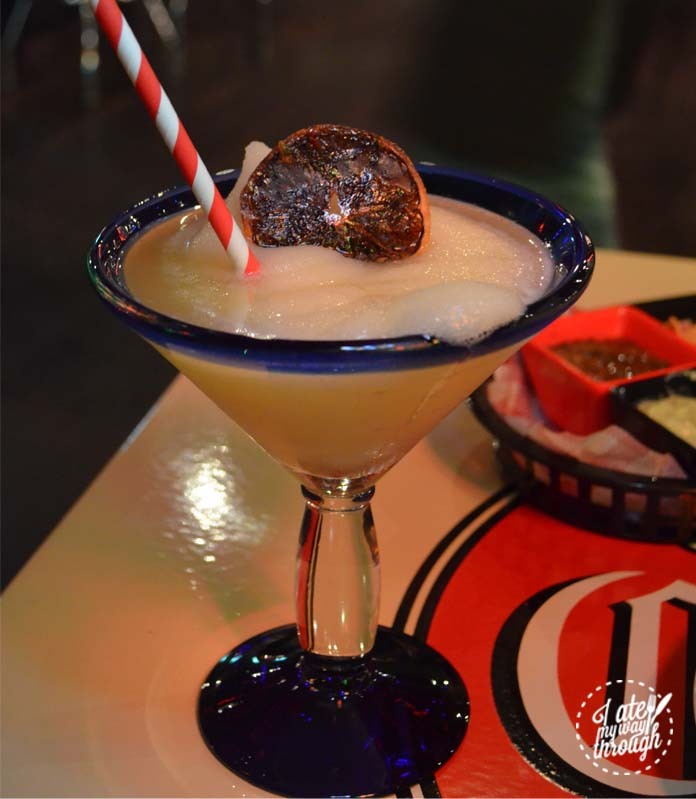 So if you want to be transported into the world of Tex-Mex complete with frozen margaritas, cheesy nachos, tasty tacos and jalapeño poppers, look no further! This El Camino will take you on a ride to a delicious desert land paradise.